Metal Roofing Contractors Ohio Blog: Someone's Going to Win. We Want It To Be You! Someone's Going to Win. We Want It To Be You! 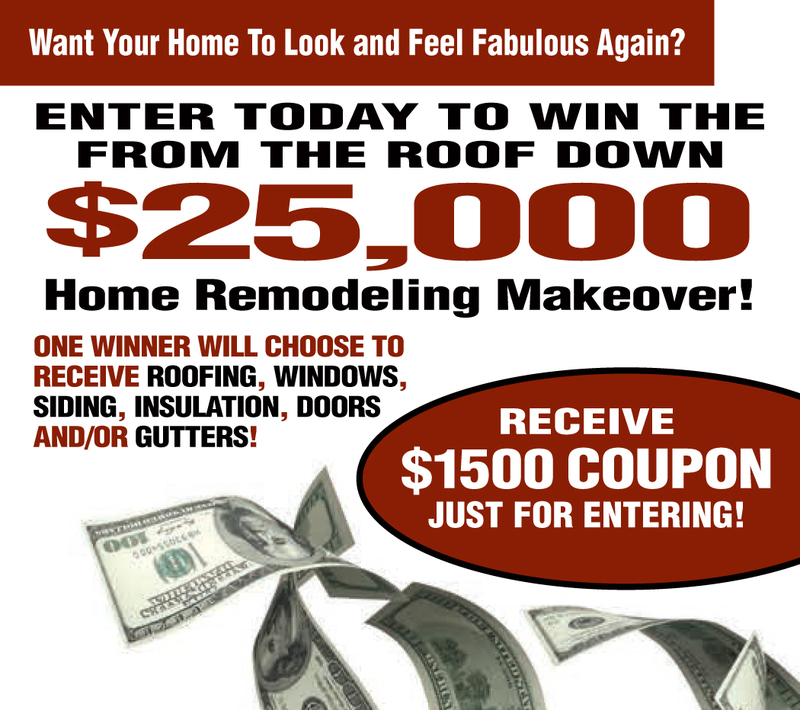 Still thinking about a new roof, replacing the siding on your home or updating the windows in your home? 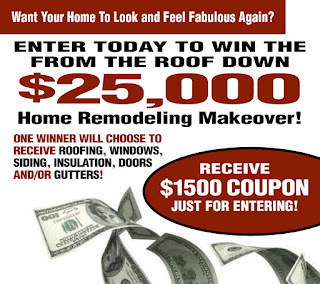 Well it's not to late to enter the Residential Renovations $25,000 Extreme Makeover Contest! Someone has to win - We want it to be you!!! You dine my house in Westminster,but now I move to Florida,Jacksonville. Do you guys provide any kind of service in my town?It's hard to find some good roofing company in our time.What do you think about this roofing company? When i first call Mark, i realized that i was dealing with a professional. I was compelled to have him come give me a bid because of the customer service i received right off the bat with him. He was to the point. He wasn't the lowest bid, but all things considered i got a great deal and one heck of a roof. I also went with the lifetime warranty that they offered from owens corning.